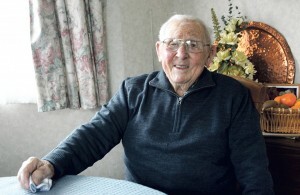 Two significant birthdays have been celebrated by Otaki residents over the last month: John Saunders turned 95 at the end of April and Jean Young was 90 on May 15. “I was born the day the Treaty of Versailles was signed,” Mr Saunders said of his 1919 birth date. He has lived in Otaki for over 50 years, arriving in 1963 to take over as of headmaster at Otaki College, a position held for 13 years. He was a founding member of the Rotary Club of Otaki, where he was president for one year and he was a Paul Harris Fellowship recipient. He still attends Probus Club, where he was president in its early years. Other community positions included two terms on the former Otaki Borough Council where he was deputy mayor during his second term and 13 years as a volunteer at the Citizens Advice Bureau where he was a budget advisor. 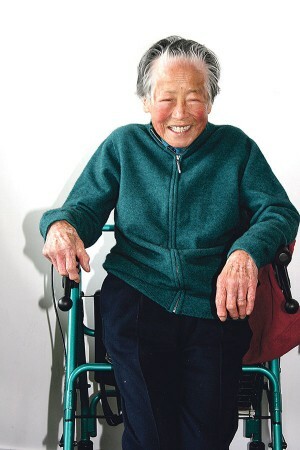 Jean Young came to Otaki as a young child with her family. She has always been a keen gardener and knitter and loves chocolate, rugby and gym! She was an early member of the Kori Kaumatua exercise group at Ngapurapura, after deciding she needed to “get fit” – she had had two hip replacements and had a frozen shoulder! She mostly walks to the class, aided by her zimmer frame, but takes a full part in the nearly hour long programme. “Confucius say very special day – a smiling legend on a walker is putting all of us to shame,” said friend and former neighbour Maude Logman at a surprise morning tea for Jean after class on the 15th May. “It’s (improved mobility) has given her a new lease on life,” daughter Robyn Bell said. A highlight of the celebration was the gardener’s delight birthday cake, with a centre piece of a whole cabbage topped by a candle, surrounded by small bowls of carrot, celery, capsicum and parsnip sticks, marigolds and an Otaki onion dip.